Been ages since He has done a shoe of the week, but why not bring it back. 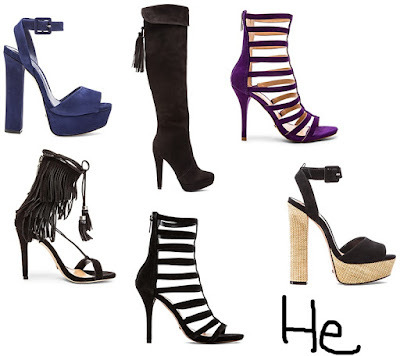 Been seeing Schutz grow in popularity the last few months, so figured it was time to give them some press on FbyHe.They seem to be going the way of the blogger world, give out some shoes and make them popular, no He didn't get any, but there are definitely some good styles in the mix. Ever since the death of the Jeffrey Campbell brand, there is a big hole in the shoe market for a new brand to come in and take over.